Craig Baxter, (Ph.D., University of Pennsylvania) is professor Emeritus of Politics and History at Juniata College. During the sixties he was a member of the Foreign Service, and was posted in Bombay, New Delhi, Lahore, and Dhaka. 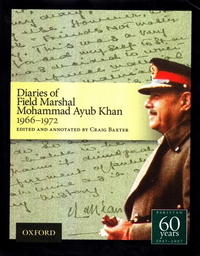 From 1968-1971, he was based in Washington as senior political officer for Pakistan and Afghanistan. He was a Foreign Service visiting member of faculty at the United State Military Academy, and he also served as the president of the American Institute of Pakistan Studies. Craig Baxter is author, co-author, editor or so-editor of nineteen books, which deal with South Asia, as well as several articles and chapters in edited works.